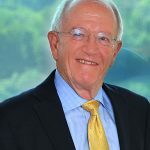 Dennis R. McClane is a member of the firm and served on its Executive Committee and chair of the Business Practice Section and as its Chief Manager from the formation of the firm in 1994 through 2016. His primary areas of practice include corporations, partnerships and limited liability companies, mergers and acquisitions, commercial transactions, real estate and health care. 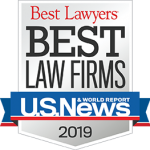 Mr. McClane is listed in The Best Lawyers in America© in Corporate Law, Mergers and Acquisitions Law, and Real Estate Law and was named the Knoxville Best Lawyers® Corporate Lawyer of the Year for 2009, 2015 and 2018. Mr. McClane graduated from The University of Tennessee in 1973, receiving a B.S. in Industrial Management. He obtained his law degree from The University of Tennessee College of Law in 1976. He practiced in the Knoxville office of a large regional law firm from 1976 until 1994, when he became one of the founding members of Woolf McClane. Mr. McClane is active in local bar association activities. He served on the Board of Governors of the Knoxville Bar Association from 1989 through 1996 and was President of the Association in 1995. He served on the Board of Directors of Knoxville Legal Aid Society from 1993 through 2001 and served as its Treasurer. He is a member of the American Health Lawyers Association, the Health Care Sections of the American and Tennessee Bar Associations, the Business Law Section of the American Bar Association and the Corporation and Business Law Section of the Tennessee Bar Association. He has served on the Executive Committee of the TBA Business Law Section, including a term as chair. He has served as an Adjunct Professor at The University of Tennessee College of Law. 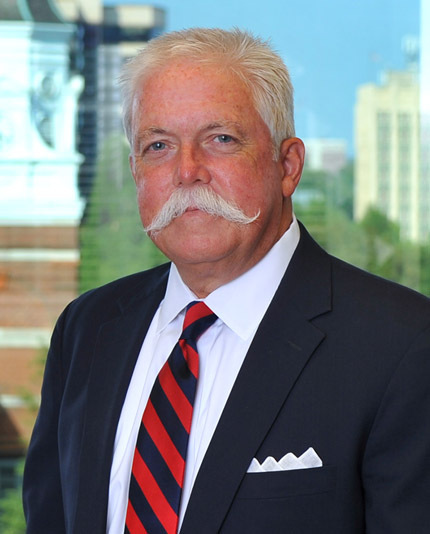 Mr. McClane has served on the Dean’s Circle and Alumni Advisory Council of The University of Tennessee College of Law. 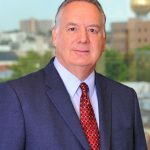 He has been a member of The University of Tennessee Knoxville Chancellor’s Associates, including serving a term as its chairman. Mr. McClane was a member of the Leadership Knoxville Class of 2000. He served on the Advisory Board of the Knoxville Area Command of the Salvation Army for several years. Mr. McClane has been a member of the Rotary Club of Knoxville for several years, and has served on its Board of Directors. He has served on the Board of Directors of WDVX Public Radio Station and the Board of Directors of Knoxville Habitat for Humanity. He is presently on the Board of Directors of Knox Area Rescue Ministries. He is a member of Sequoyah Hills Presbyterian Church, and has served as a Deacon and Elder there.